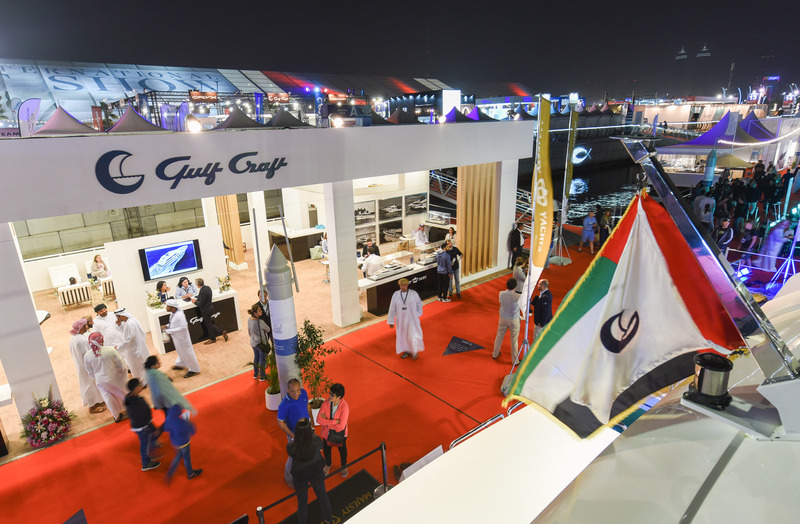 Gulf Craft had a phenomenal success at the Dubai International Boat Show with the world premiere of 6 yachts and boats: three Nomad Yachts - SUV Collection, Oryx 379 sport cruiser and two SilverCat 34 fishing boats in center-console and hardtop versions. 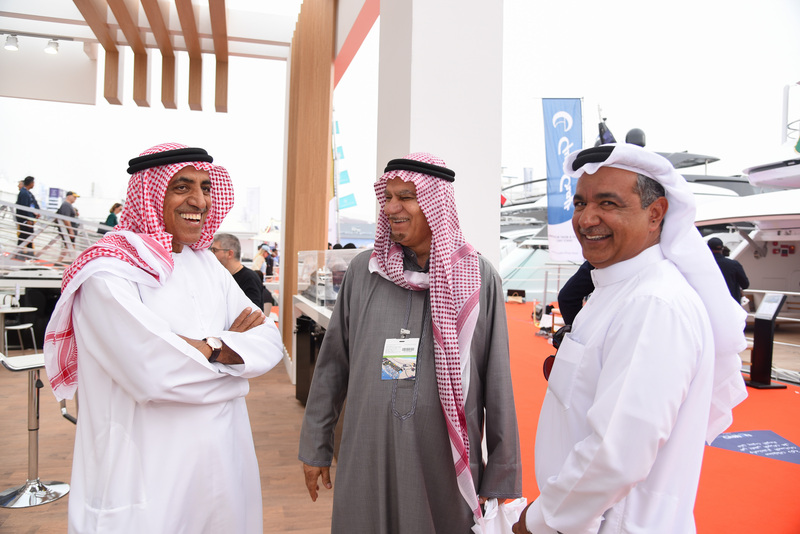 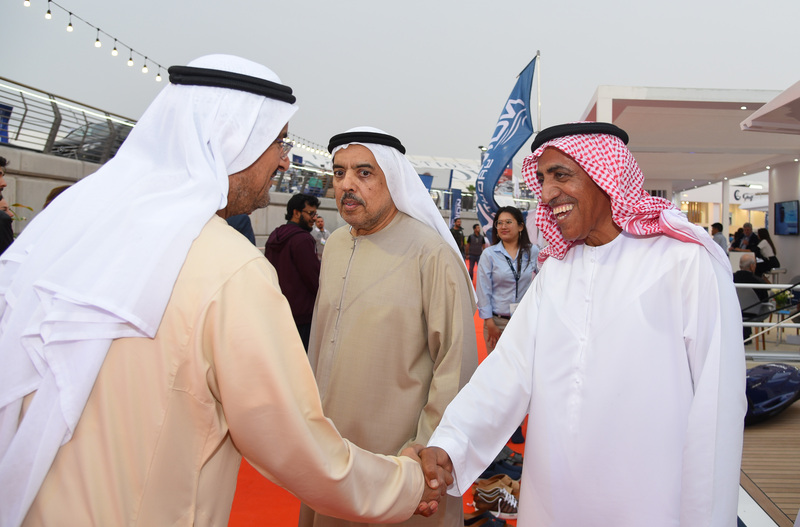 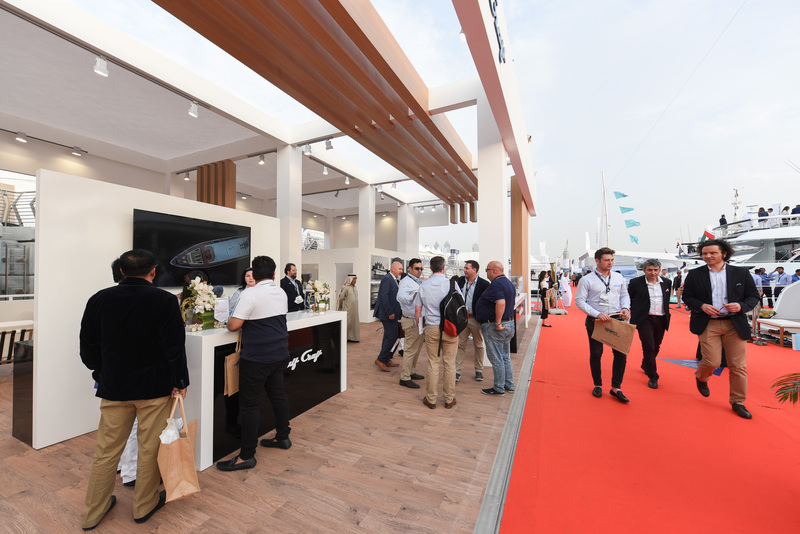 Rain, strong winds and sandstorms cannot dampen the spirit of the Gulf Craft team as we persisted on assisting our guests and clients who visited our stands at the marina display and outdoor areas. 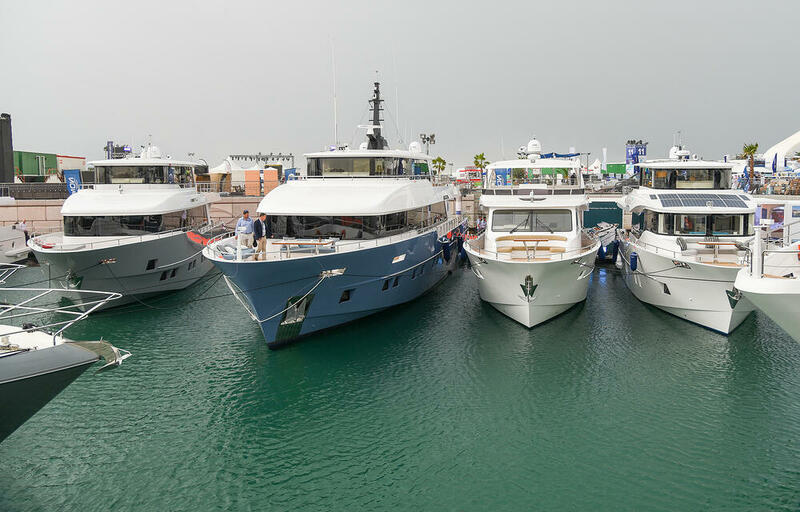 All spirits were high as we proudly present our latest models as well as the award-winning Majesty 140, Majesty 100 and Majesty 62. 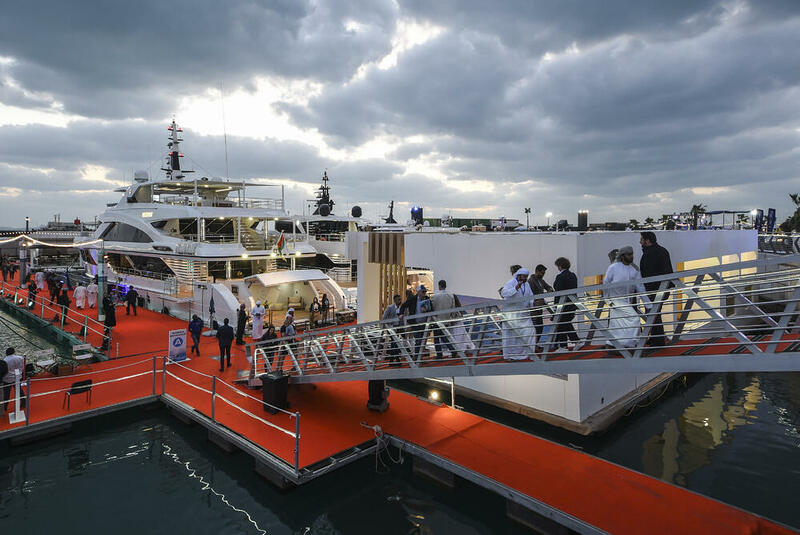 Gulf Craft launched three brand new Nomad Yachts called the SUV (Sports Utility Vessel) Collection. 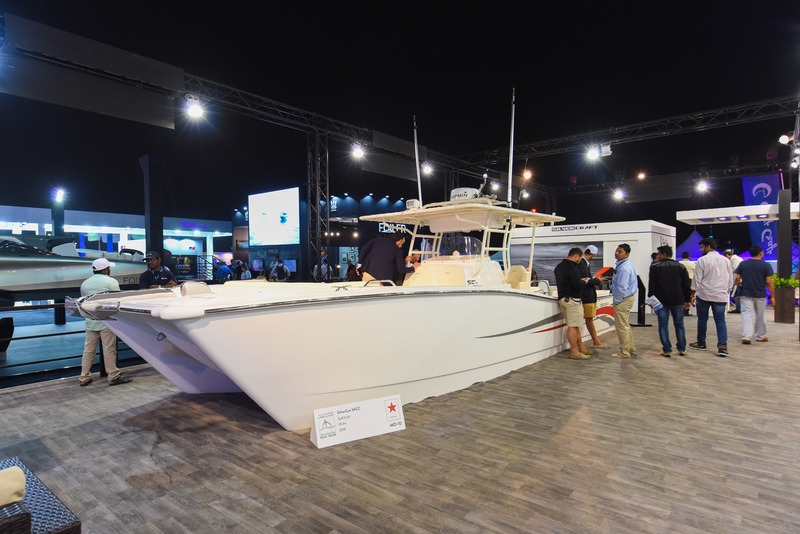 The Nomad 95 SUV, Nomad 75 SUV and Nomad 65 SUV all feature hybrid hulls (a combination of semi-displacement and planing hull) designed to withstand any sea condition and are able to travel long distances. 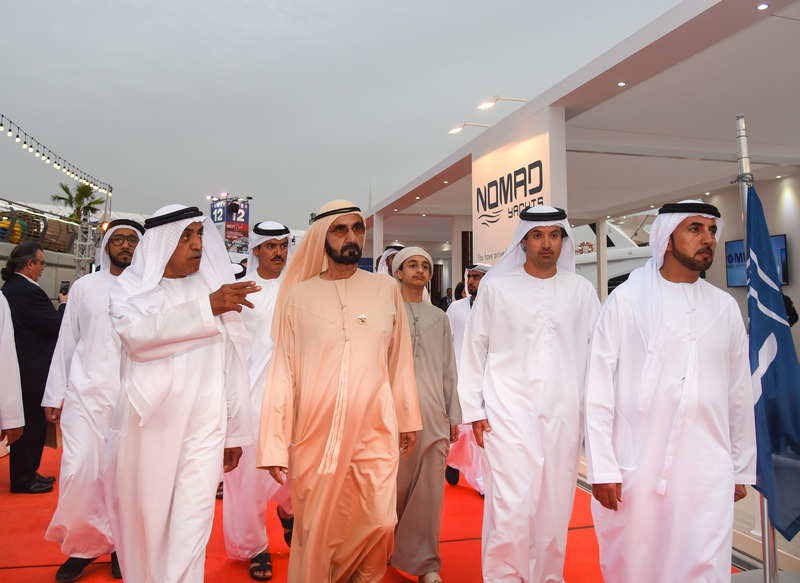 The jewel of the new range is the Nomad 65 SUV as most of its auxiliaries are powered by solar energy. 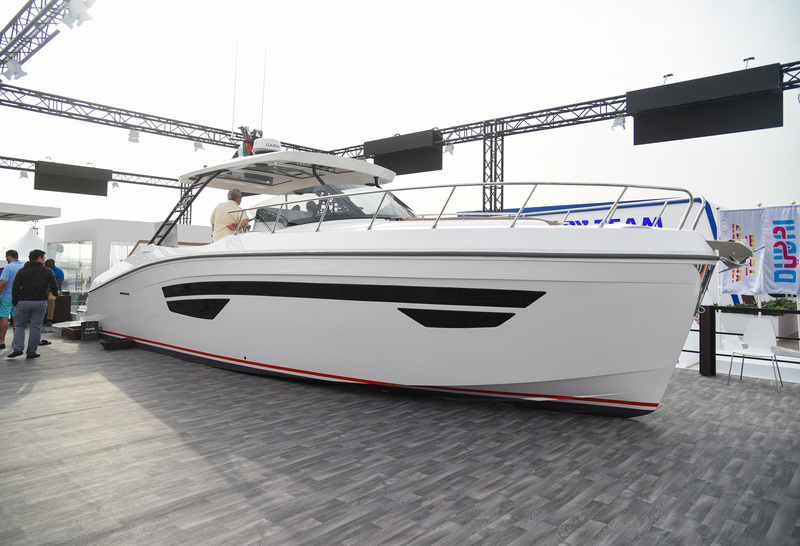 This makes it ideal for an overnight stay as it can power the boat for up to eight hours at full charge. 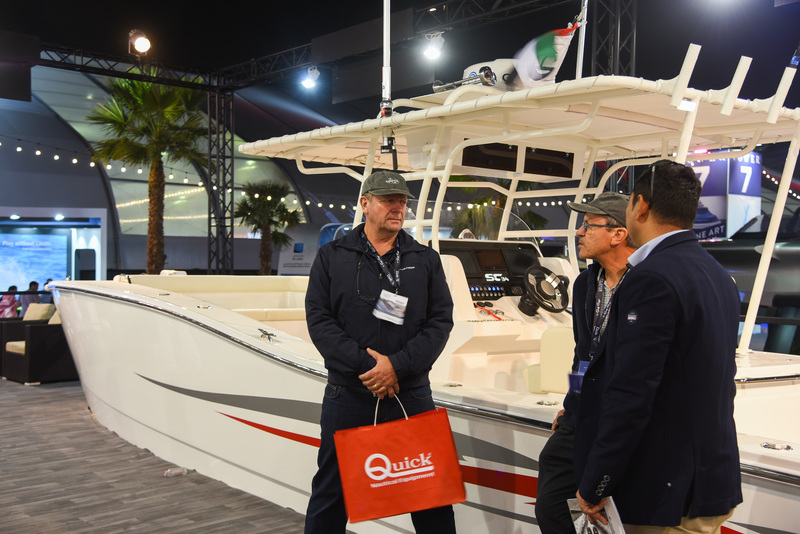 Also premiered at the show were the new leisure craft models - Oryx 379 and SilverCat 34. 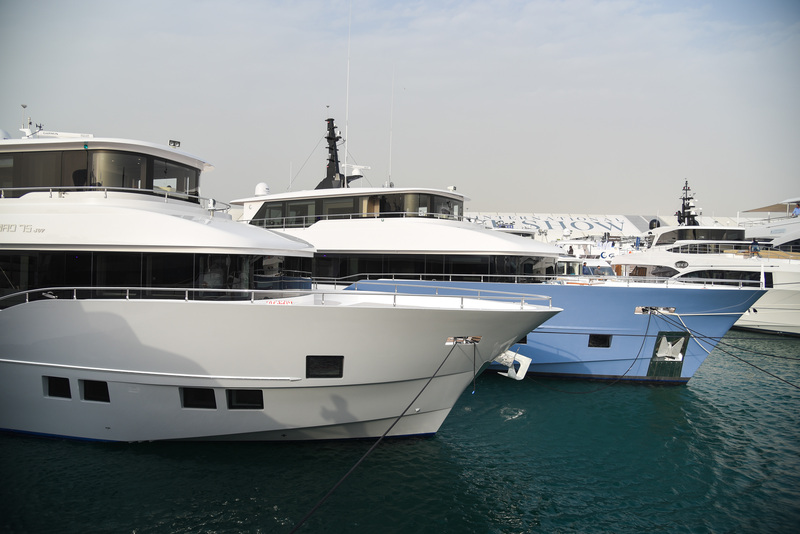 The new generation Oryx 379 was designed by Hussein Alshaali, Research & Development of Gulf Craft. 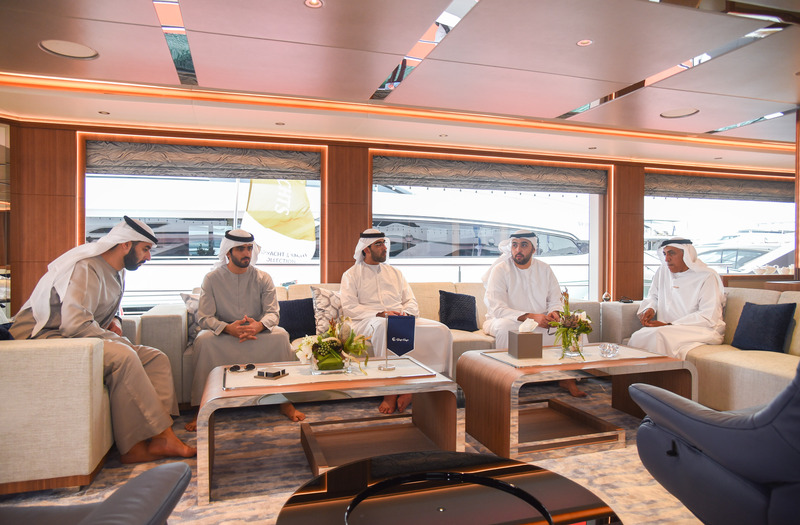 The completely restyled 37-foot sport cruiser boasts an impressive use of space which can sleep 4 guests in absolute comfort. 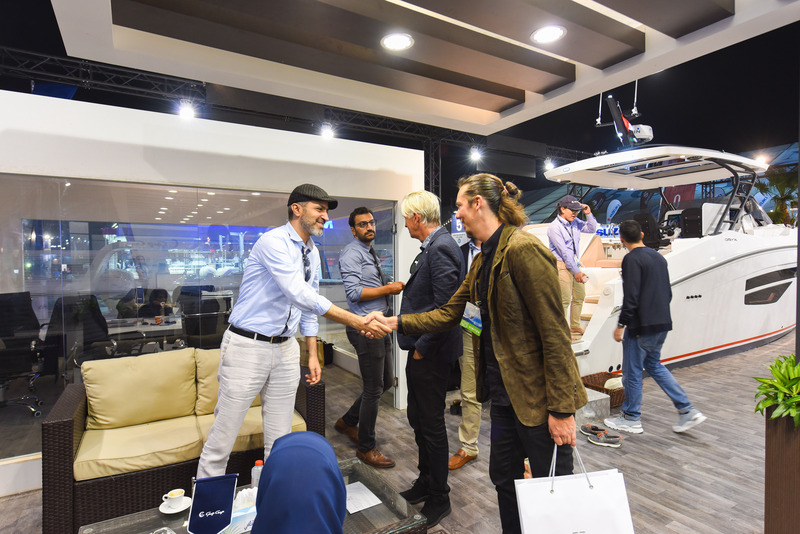 This year, the company returns to its heritage with the launch of two new catamarans, named SilverCat 34. 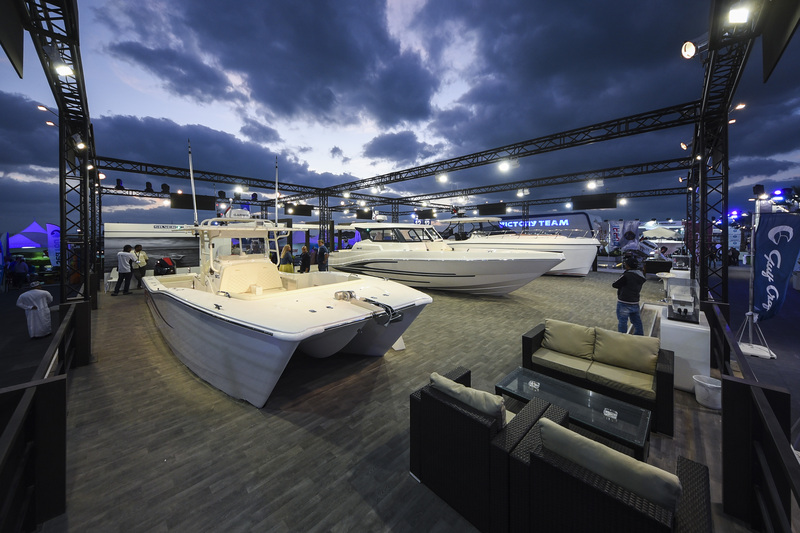 The new models were introduce in two versions, center console and hard top, both efficiently powered by twin outboard engines 300 hp each. 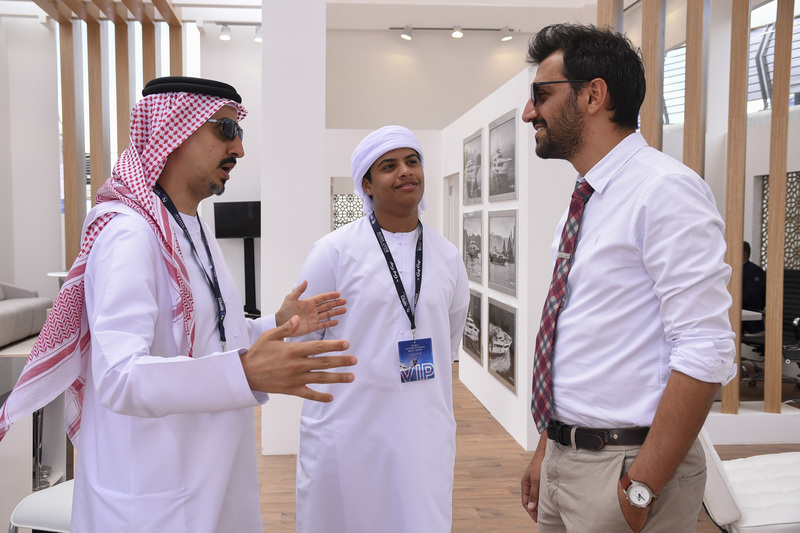 Both models were received with enthusiasm and visitors have shown great interests. 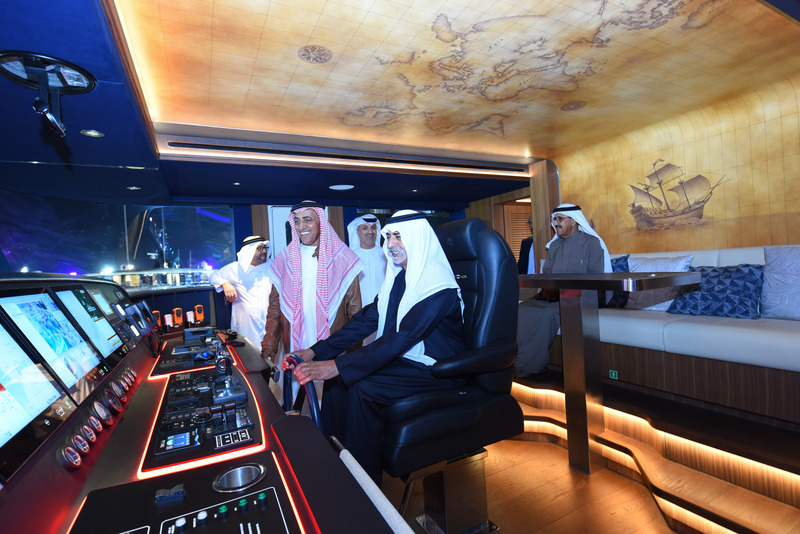 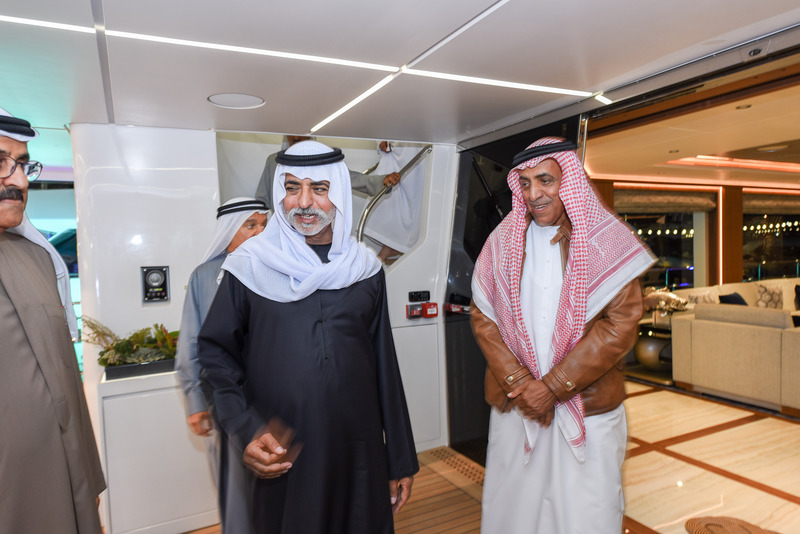 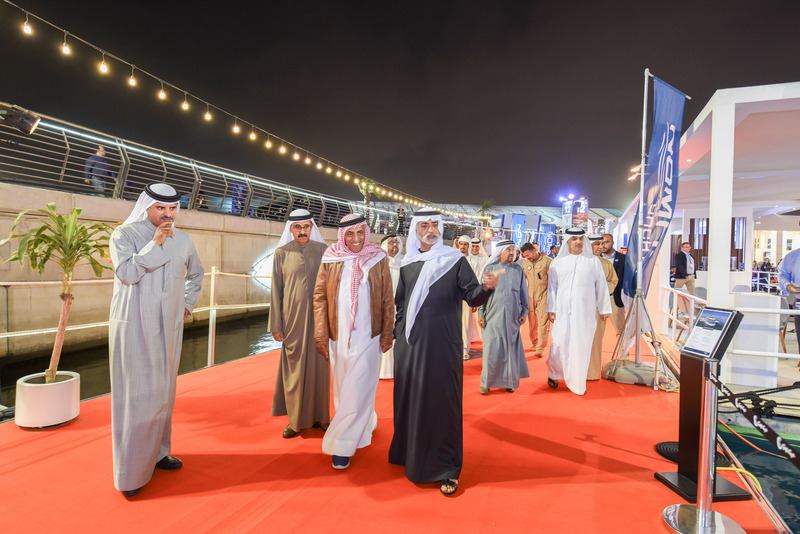 Gulf Craft was also honored with the presence of HH Sheikh Mohammed bin Rashid Al Maktoum, Vice President and Prime Minister of the UAE and Ruler of Dubai, and Crown Prince HH Sheikh Hamdan bin Mohammed bin Rashid Al Maktoum. 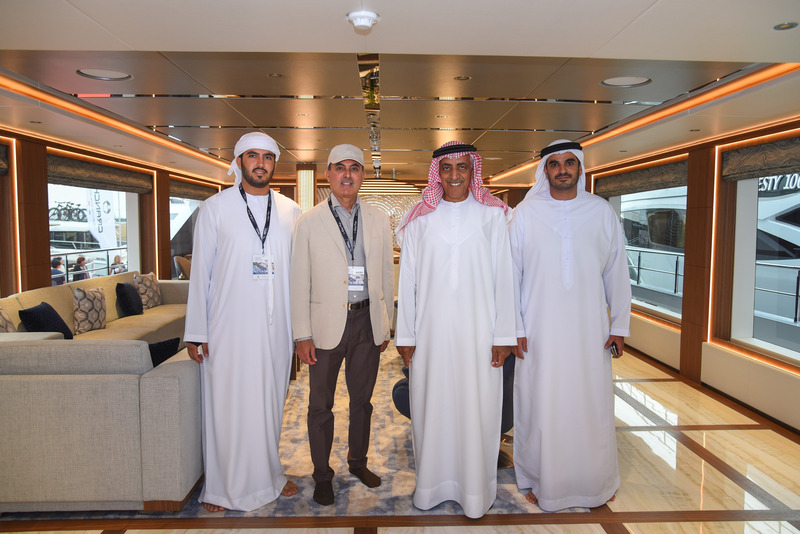 Gulf Craft was also visited by HH Sheikh Ahmed bin Saeed Al Maktoum, Chairman of Dubai Civil Aviation Authority & Chairman and Chief Executive of Emirates Airline Group, HE Mattar Mohamed Al Tayer, Director General and Chairman of the Board of Executive Directors of the Roads and Transport Authority, HE Khalifa Saeed Suleiman, Director- General of the Department of Protocol and Hospitality in Dubai, HE Hellal Saeed AlMarri, CEO of DWTC, HE Saif Ahmad Al Ghurair, CEO of Al Ghurair Group and HE Abdul Aziz Al Ghurair, CEO of Mashreq Bank.